So I finally ordered some bare worsted from Knit Picks rather than trying to dye the Wool-Ease. 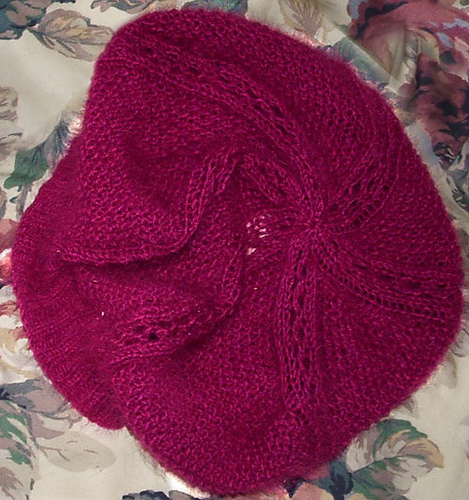 I played a bit with dyeing with it, but it is a wool/acrylic blend. Just the wool took the color and it was really quite nice, but it was a pale tweedy look. I wanted vivid colors to go with the black for the manlets’ sweaters. Blue/green/black for the oldest and red/white/black for the youngest – of course! LOL I wanted the colors to be long runs, though – so it was a new thing for me to play with. I’m not sure how they are going to work out, but I have hope that it will not be too busy. 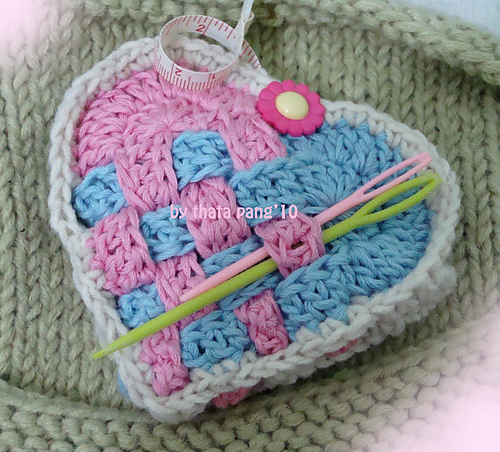 We shall see once I start knitting it up, anyway! 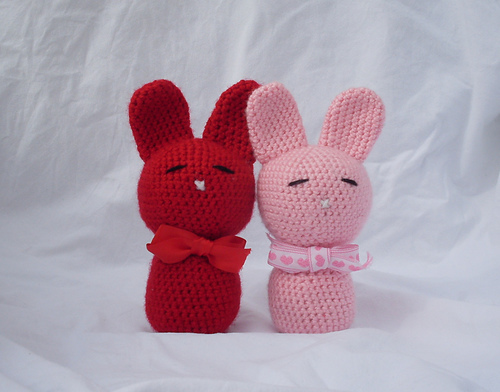 Valentine’s Day is coming up soon, so how about some new patterns to make for your Valentine? 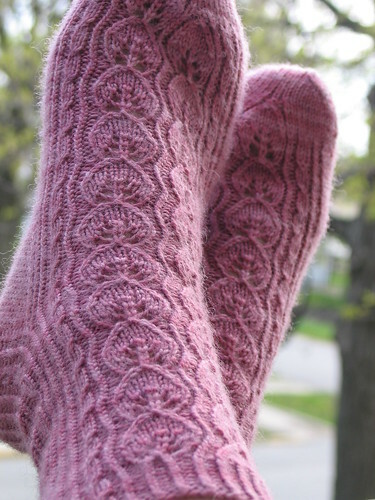 None of these are mine, click the pic to go to the Ravelry pattern page! ZOMG, I lurve this one so much!! Adorable! 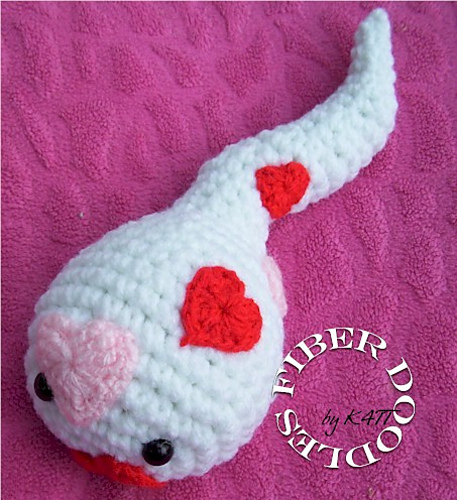 * Another really cute pattern! Oh now this is just so adorable!! Awesome sweater for a baby girl! 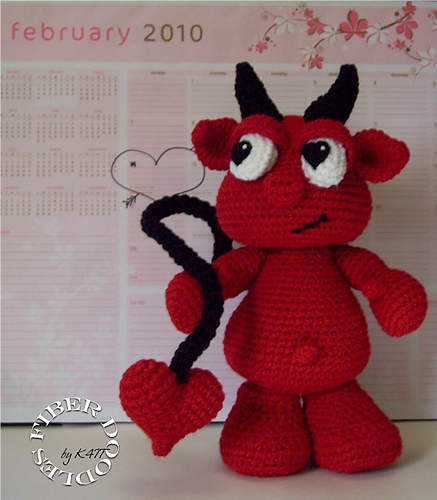 * Oh, I am SO going to make one of these! Love it! 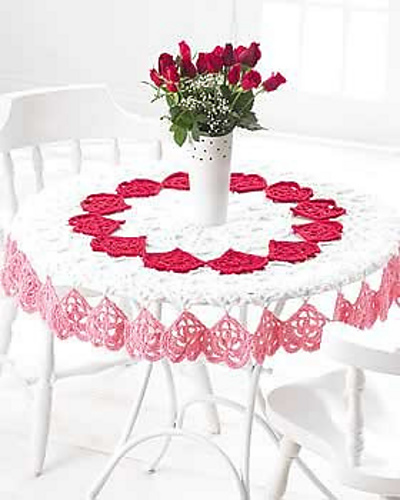 * This pattern would make a great gift for kids for Valentine's Day. * Wow, these are wild! 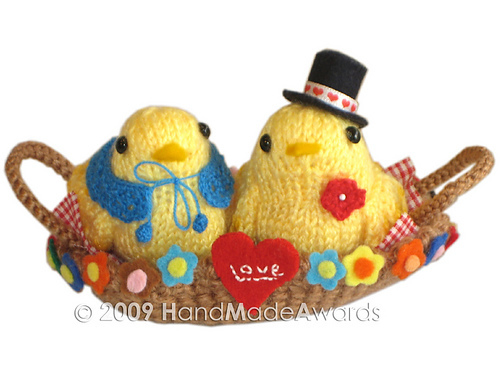 This entry was posted in Running and tagged Free Patterns, Knitting, Running, Today's Ravelry Search, Yarn Dyeing. Bookmark the permalink. 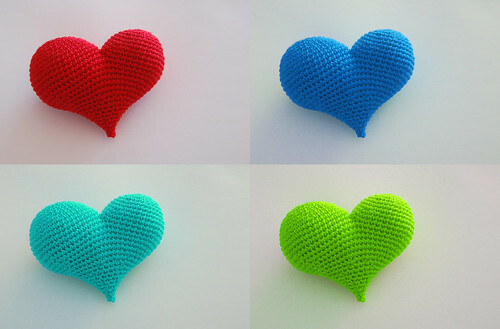 That dyeing looks really yummie…especially the blue and green, but I also love the red one… what did you used for dye? and how did you dyed those long colors? 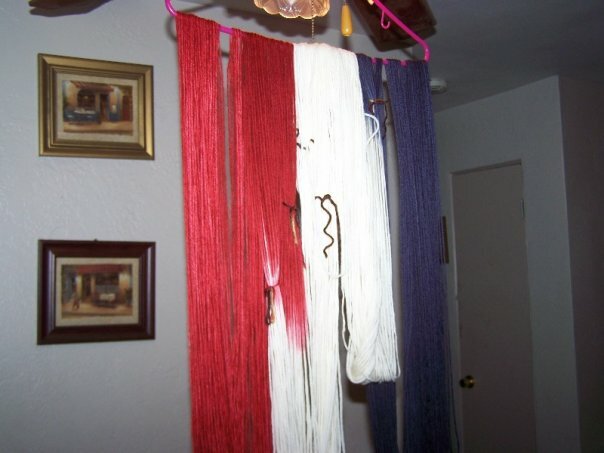 On the red one, I went back & redyed the black, then I dyed all the cream with red as well. 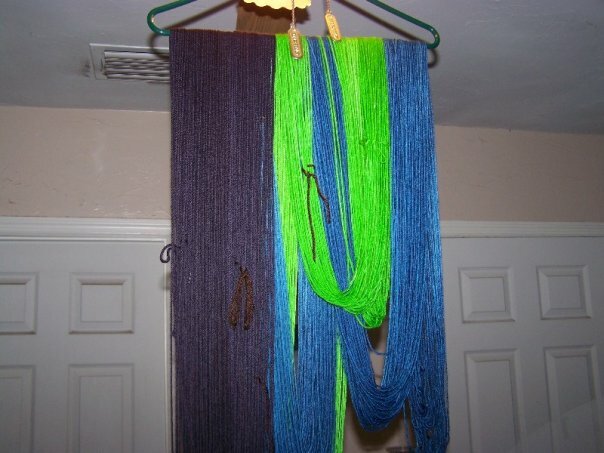 Once I started knitting up the blue/green/black, I realized that the color runs weren’t as long as I wanted. Too late for that yarn to change, but it helped me decide to change the red/black one. The black is an acid dye that I got from Knit Picks. All the other colors are Kool-Aid. :) I had to create really long hanks – I had the yarn running from my family room, through the dining room & in to the living room! It was a bit unwieldy to manage once I needed to get it into the dye pots, but I managed. It’s really a job for more than one person! You dyed the green yarn with Kool-Aid? And is it as neon green in real life as it looks on my monitor? Yep! Lemon-lime Kool-aid & it really is that bright of an acid green. I thought I would have to use a ton of it, but it turned out to be only about 6 packets.